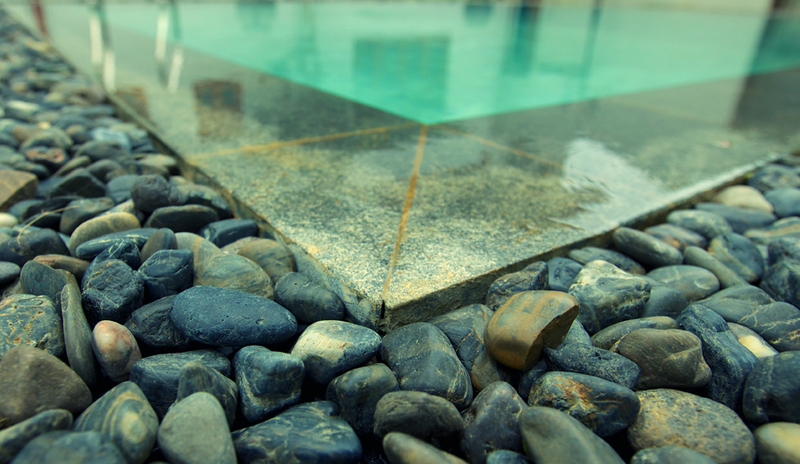 A relaxing dip in our beautiful pool is the perfect antidote to a busy day exploring the sights and sounds of the ancient capital city, Kandy. Surrounded by a well manicured garden filled with exotic fruit and flower trees, this is the perfect setting for basking in the tropical sun. 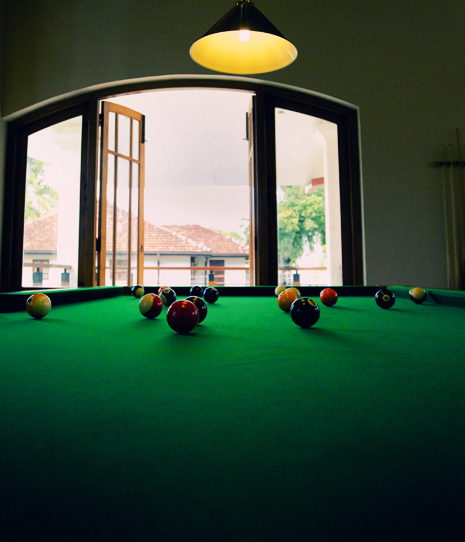 For those who have a competitive streak, have a go at a friendly game of pool at our indoor pool table. It's the perfect way to socialise and make new friends, as well as feel upscale and chic. 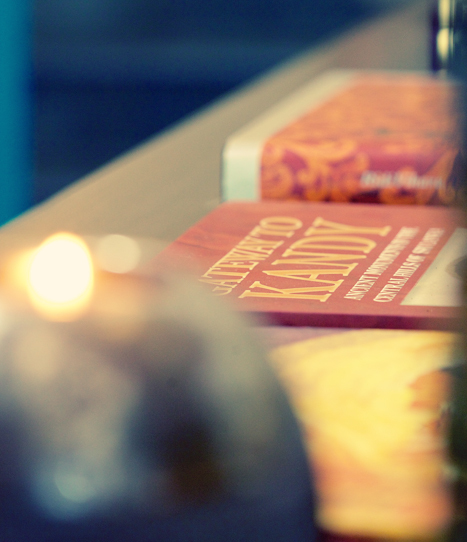 Guests are invited to unwind from their day's adventures, curled up with a book in one of our plush sofas, or socialise with fellow guests in our library. With our wide selection of books to choose from, the Book Library will transform into your own personal sanctuary and transport you into a world of your own imagination. If socialising is more up your alley, grab some family or friends and come enjoy a fun evening with our large selection of board games. Clove Villa boasts a large collection of DVDs ranging from movies to music. Feel free to watch it in our DVD library, or take one up to your room if you need a more private setting. Whatever the case, we are sure to satisfy your cinematic needs. 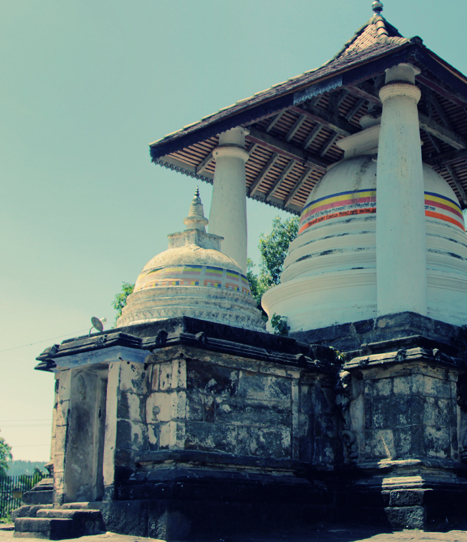 The Temple of the Sacred Tooth Relic or the Sri Dalada Maligawe is one of Sri Lanka's most renowned Buddhist temples. 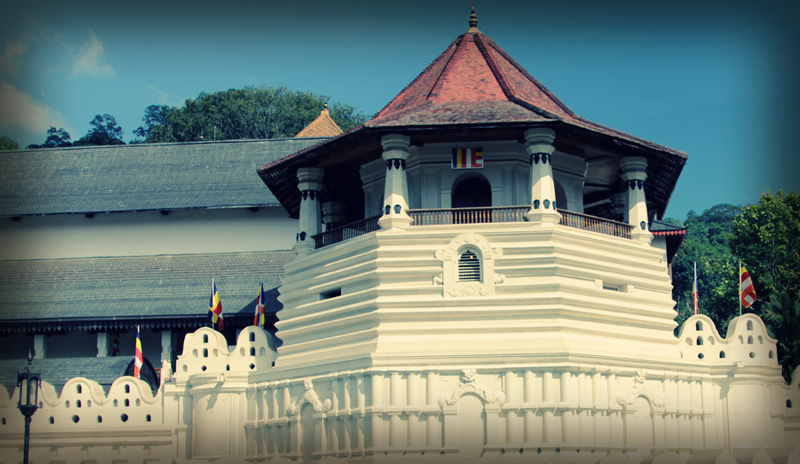 Located in the royal palace complex, this temple houses the tooth relic of the Gautama Buddha. This relic played an important role in local politics during ancient times, when it was believed that whoever held the relic also held governance of the country. 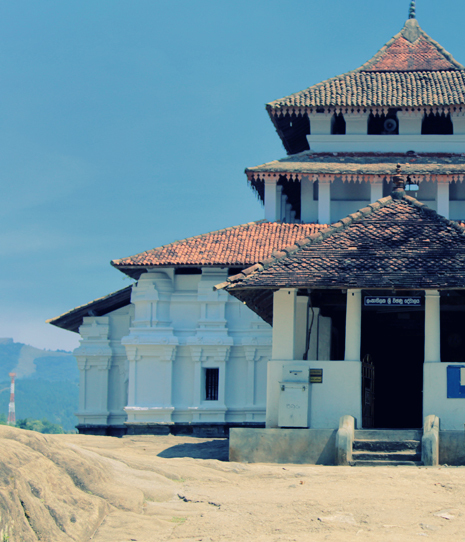 The famous Lankatilaka Temple is a cruciform building renowned for its well-preserved traditional Sinhala architecture. Built on the top of a rock, the temple can only be reached by scaling the ancient steps, which are cut into the rock face. A long passage leads you from an Image House through a Mandapa (hall) and into an inner sanctum, which has walls richly decorated with intricate floral designs and exquisite scenes from the lives of the 24 former Buddhas. In the midst of this sanctum is a colossal image of a seated Buddha. 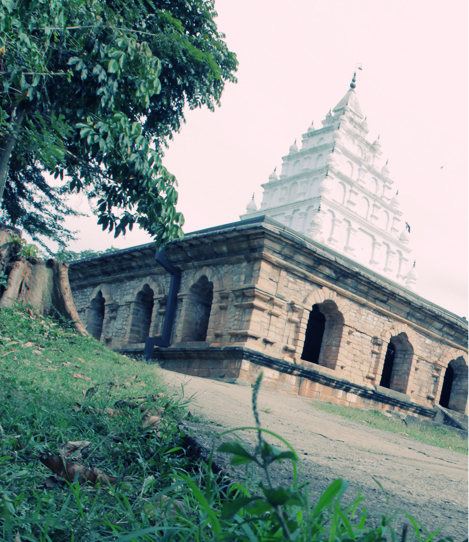 Located in close proximity is the ancient monastery called the Gadaladeniya temple. This temple was built by King Buwanekabahu IV in the year 1344. Designed by a South Indian artist, Ganesvarachari, this temple has profound south Indian masonry marks. The park dates back to the Kandyan Kingdom, when they were used as pleasure grounds by the royal families. However, the Peradeniya Gardens itself was established after the British seized the kingdom in 1821. Spreading over 150 hectares of elegantly manicured landscape, the Gardens prides itself on having over 400 species of indigenous tropical flora and exotic plant species. 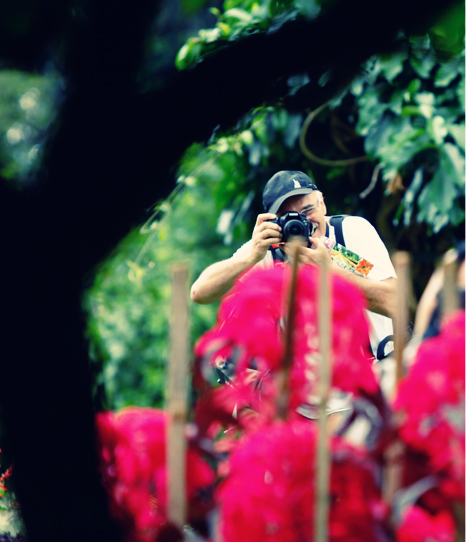 It is also renowned for its collection of orchid, boasting over 300 different varieties of the flower. This impressive building has a unique architectural style. As its name suggests, the viharaya is a large pavilion built of stone and brick. However, its high gopuram, or monumental tower, shows that this Buddhist place of worship was influenced at some point by Hindu culture.